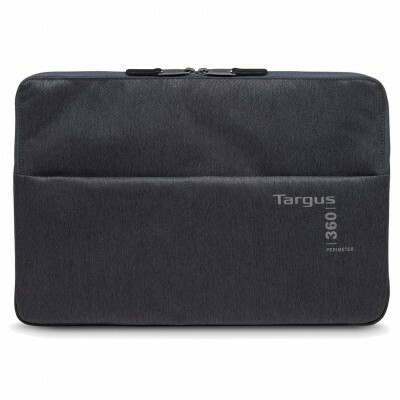 Everything you would expect in a sleeve from the number one brand for laptop protection, the Targus 360 Perimeter sleeve combines genuine all round protection with sophisticated styling. Featuring three layers of durable padding which run around the entire perimeter of the case and act as shock-absorbing bumpers this sleeve offers outstanding edge protection and has a soft internal lining to ensure your device remains damage and scratch-free. A zipped accessories pocket on the front also enables you to store small personal items or a power charger.